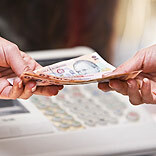 We often come across situations where we like something in a store but can not pick it up because of shortage of cash. Layaway is the answer to your problem… Here's how it works…. Layaway as a strategy is a benefit for customers who can now get something they like aside and pay according to their convenience and be their proud owners. Layaway is a strategy that enables a customer to buy merchandise without paying the full amount for it at once. But it is unlike an EMI scheme where you take home the merchandise and keep paying for it. In a layaway, you cannot take home the merchandise unless it is completely paid for. Referred to as lay-by in Australia, New Zealand, South Africa and Great Britain; it is not practiced in India yet but Layaway as a strategy is relatively known to the world. Since the process involves a transaction over a period of time, it is imperative that it is documented. Giving written disclosures to the customer eases the transaction procedure. It also gives the customer an assurance that his merchandise will be kept safe and that he has adequate knowledge and understanding of his payment obligations. The brands layaway policies are at the customers’ disposal preventing misunderstanding and confusion. There are certain terms of the layaway strategy that need to be conveyed to the customer in lieu of convenience. Aspects like cancellation and refund policies; payment plans; service charges; the location, identification and availability of the merchandise. These help in the achievement of customer satisfaction. The communication of the layaway terms in a proper manner would work in the favour of the store. You can either post signs in the store at apt locations or print the layaway disclosures on layaway sales receipts given to the customer. Once a customer buys a product as a layaway, he at the back of his mind will always feel insecure about the store giving away his product to someone else by default. Once they buy a product they would want it to be kept away from the stock available on the store floor. Some retailers do remove layaway articles from the sales floor and keep them at a safer place so there is no confusion. However, for bigger items, a tag saying ‘sold’ is put up as there isn’t enough space to keep them at a separate location. Another important concern would be the identification of the merchandise at the time the customers actually get the merchandise in their hands. The time lapse can range from weeks to months so a person may not remember the exact specifications of the product. So to ensure that the customer gets what he ordered, specifications should be written on his receipt. Details such as colour, size, stock number, model number and trade name or manufacturer help avoid confusion on both sides. Layaway was once more common than it is now, thanks to the extensive use of credit cards, which has now made most of the things ‘affordable’ for a customer. However, the sliding in of the meltdown, the concept once again came to light. Online layaway is also a possibility today. You can order the goods and at the checkout, the breakdown of the payments are calculated which you can choose according to your convenience. The payments automatically get deducted from the bank account on the dates chosen by you. As soon as all of your payments are made, the goods are shipped to you by the merchant. Not all retailers practice layaway but you can always check with a retailer for their offerings in this respect. So, now you can shop with even a few pennies in your pocket! Happy shopping!